Meet the dream team behind the screen! Andrea Unsworth is a dedicated patient advocate and entrepreneur who came to the cannabis industry through her work as a former bond analyst for Moodys. After researching and publishing numerous pieces about the growing industry in California and nationwide, she started delivery-only dispensary StashTwist in 2014. While operating StashTwist, Andrea spent a great deal of her time in the local community developing relationships with Bay Area policymakers and aligning with organizations offering support to entrepreneurs in the industry. In 2015 she led the Bay Area chapter of Women Grow, a national for-profit entity whose mission is to serve as a catalyst for women to influence and succeed in cannabis. That year Andrea co-founded Supernova Women, an organization that champions for the education and advancement of individuals and businesses owned by POCs in the cannabis industry. Through workshops, clinics and other resources, Supernova helps empower those most impacted by the War on Drugs in the pursuit of their entrepreneurial goals. Andrea founded Tulip & Oak in 2018 because she wanted to focus on helping the cannabis industry as a whole. In addition to her role as CFO for Supernova Women, Andrea sits on the board of the California Cannabis Delivery Association. She has a B.A. from UCLA in Political Science and Sociology, and an MBA with a focus on Company Finance from USC. A California native, she has lived in the Bay Area for 10 years. Hadas Alterman is a passionate community activist who entered the cannabis industry after graduating from UC Berkeley's School of Law. For more than a year, she has been advising clients on local and state laws in preparation for building their compliant cannabis businesses. Hadas spent years as an activist and community organizer in California, conducting outreach and coordinating direct action campaigns and initiatives in support of multiple causes, including restorative justice and education for youth offenders. In 2017 she joined Green Rush Consulting as a Legal Consultant, researching and assessing regulatory requirements for cannabis business licensing on behalf of clients in California and across the country. In this role she also served as Project Manager, bridging the gap between clients and internal cross-functioning teams in the completion of license and permit applications for multiple jurisdictions. Hadas' enthusiastic, personable approach resulted in an easy rapport with clients despite rarely meeting them in person. Her work ultimately contributed to client wins locally and nationally. In her solo practice, Hadas advises clients on entity formation and legal document review and drafting. She joined Tulip & Oak in 2018 to serve as the firm's principal legal expert. In addition to regulatory and compliance expertise, she possesses a boundless determination to nurture the growth of a diverse and compassionate cannabis industry. Hadas holds a B.A. in Community Studies with Honors from UC Santa Cruz, and a J.D. from UC Berkeley School of Law. She is a Bay Area native. Kaisha-Dyan McMillan is a writer specializing in cannabis who transitioned into the industry after building a career as a product marketer. While working for major brands and as a consultant helping startups on their marketing strategy development, she penned everything from product names and brand stories to video scripts and blog posts on clients' behalf. 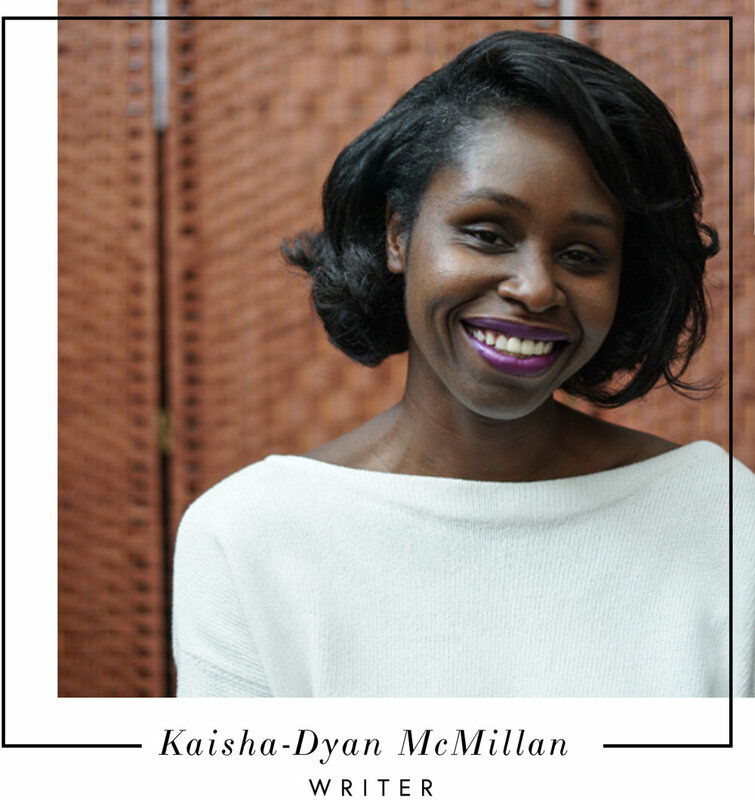 After being inspired by networking in the industry and hearing the stories of cannabis advocates, activists and entrepreneurs, Kaisha chose to actively pursue cannabis as her niche. She has applied narrative flair to multiple client applications, and her work has appeared on such websites as Hearst Bay Area and HelloMD.com, and in DOPE Magazine. She holds a BS in Advertising from San Jose State University and is a proud alumna of Oaksterdam University. McNeil Stafford brings a variety of professional work experience from San Francisco's commercial real estate industry. She managed class-A high-rise buildings before moving to a small brokerage, and has a passion for real estate and problem-solving. An entrepreneur in her own right, McNeill has a strong corporate background, vision and resilience. Get Social! Follow Us on Instagram @tulipandoak!